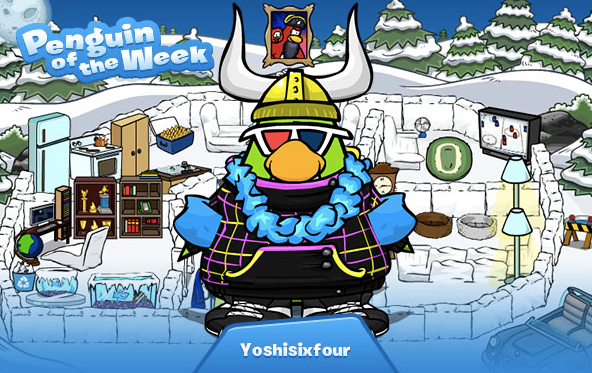 Club Penguin Cheats by Mimo777 Club Penguin Cheats by Mimo777: Penguin of the Week: Yoshisixfour! Yoshisixfour is a super collector! He has been playing CP for a reeeally long time and has collected pretty much all of the pins and stamps. I think this is a brill achievement and he should be really proud of himself!